A range of pretty country style door knobs, ideal for updating cupboards and drawers. 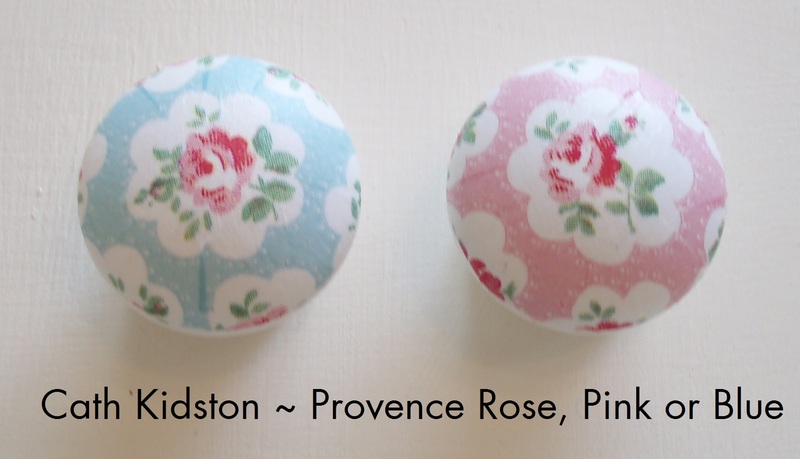 The knobs are white with decoupage in a choice of Cath Kidston papers, then varnished with a clear satin finish for protection. Your beautiful door knob will arrive gift wrapped, making them perfect for gifts. Please be aware that these door knobs are hand finished and as such may have minor imperfections and brush strokes all adding to the overall shabby chic charm. Next Post Victoria from Ugly Ducking to Beautiful Swan. Amy, I did email you but haven’t heard back. Are you still interested?